Do you teach your Labrador tricks? Do you love to see well trained Labradors enjoying displaying their skills? Or do you feel uncomfortable watching their performance? 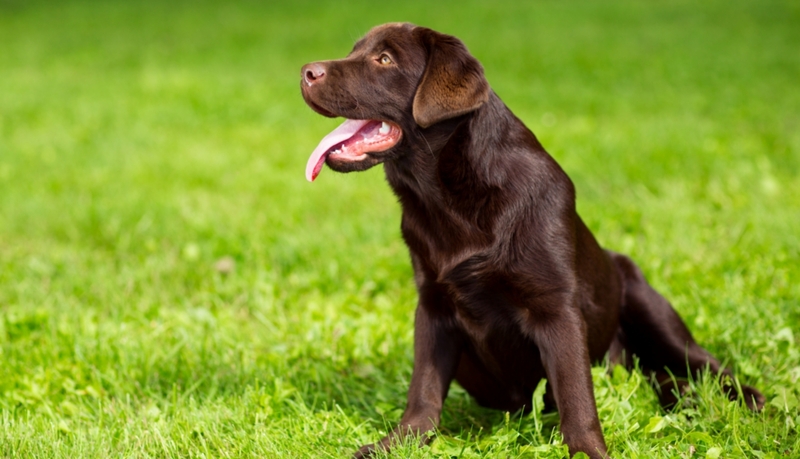 In this article we are going to look at whether teaching your Labrador tricks is a good idea. And what good things teaching tricks can do for you and your dog. Labrador tricks normally refer to a learned response, which doesn’t serve a clear purpose. A Lab trick is something which he is trained to do, and yet doesn’t appear to be of any actual use. So teaching a dog to sit is an obedience training lesson, but teaching him to shake hands or dance in a circle is referred to as a trick. Don’t miss our in-depth investigation into the Silver Lab controversy! So why do we teach them, and why do some people object? 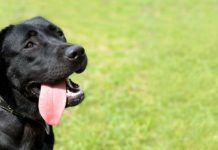 Why Do Some People Object To Teaching Labradors Tricks? Some people look down their noses at those that teach their dogs tricks. I know because I used to be one of them. I used to think it undignified and pointless teaching dogs to copy their humans with a handshake, or to roll around on their backs. But the idea of embarassment is a very human one, and dogs actually enjoy learning tricks if they are taught in the right way. More than this though, I now understand that there is huge value to be had in teaching your Labrador to carry out a specific behaviour in response to a specific cue. The fact that the trick you are teaching is ‘giving a paw’ or ‘playing dead’ doesn’t matter. There is nothing pointless in training a dog to respond to a human being. The point is, your Lab is learning something new, and so are you. Every time we train a new skill, we get better at it. Lab tricks improve your ability to train your dog. And every time your dog learns a new trick or game, he is using his brain. Not to mention strengthening the relationship between you. When we train a Labrador to do tricks, we use positive reinforcement training. This method of training enables us to teach our dogs something new, safe in the knowledge that they will enjoy the learning process and strengthen their bond with us in the process. [wp_ad_camp_2]Clicker training is great for teaching tricks. It provides the dog with a stream of feedback which identifies for him when he is getting it right. A clicker is a little box which makes a clicking sound. It comes under the category of an event marker – because it literally marks the event you are looking for. Giving your dog a clear sign of when he has got it right. When you combine this noise with something your dog finds rewarding, like a tasty snack, then you increase the likelihood of him doing it again. 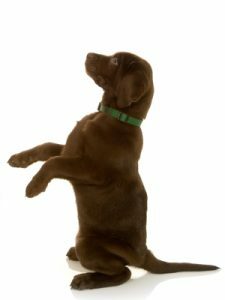 There are three main methods of using clicker training to teach your Labrador puppy tricks. These work from puppyhood all the way to adulthood, because they are kind and gentle you don’t have to wait to get started. Capturing Labrador Tricks is a method which can be used for basic tricks or those that your Lab already does by himself. You simply wait for him to do the behaviour you want, then click and treat. Capturing the correct moment and making it even more rewarding for him. For example, some Labradors like to spin around in circles. If you want to turn this into a trick, you can mark and reward when your Labrador does a rotation. Doing a click and treat when he completes a single spin. This will encourage him to do it more often. Once he is offering you the behaviour more frequently, you can start to add the cue word ‘spin’ when you click and treat. Say this word every single time to build up an association. After a few sessions, try saying spin when you have his full attention. If he spins click and give a high value reward. Make sure to click and treat for the behaviour when it is offered without the word too, to encourage him along the way. After a time your cue word will become a command, which you can say and he will respond to. But remember, keep rewarding your dog for most of his obedient responses to keep him encouraged and the game fun. There is a nice article here which you can practice capturing with, by teaching your Labrador to relax. Luring Labrador tricks involves using a lure, usually some food, to guide your Labrador into the desired position before rewarding him. Luring isn’t the same as bribing, as very early on in the process you will lose the lure and only reward once the behaviour is complete. Luring behaviours can be a little tricky to learn, to make sure that you get the method and timing right. 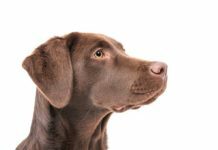 Training Labrador tricks that don’t matter in the real world using this method, gives you the opportunity to learn how to do it right before you start on a command which you really need him to be obedient to. 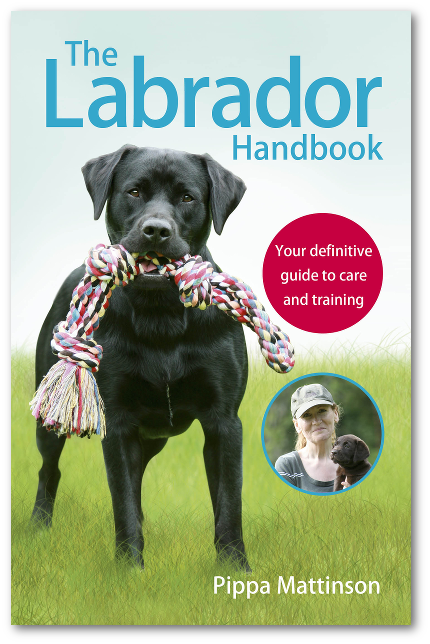 You can use the lure to teach your Labrador to sit, and find detailed instructions for how to do that here. Shaping your Lab tricks is the most common way of building up complicated tricks. 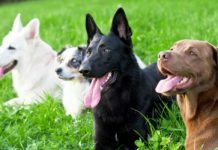 It involves taking a behaviour that your dog already knows and rewarding him for slight variations which head in the desired behaviour’s direction. We look at shaping in detail and give you instructions for how to use this skill in our clicker training heel for dogs and puppies article here. You can find out lots more about how to use all of these different skills to train your Labrador tricks in our dog training techniques article here. Anything which your Labrador learns to do can be called a trick. 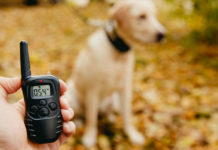 If you don’t need it for working in the shooting field, then teaching your Labrador to stop when you blow your whistle can be defined as a trick. Here is a fun game to play with a dog on a rainy afternoon. Its called 101 things to do with a box. And whilst it might seem trivial, this game is a brilliant training tool and great practice for the beginner clicker trainer. In our article on 4 games to play with your Labrador, we look at scent games, musical statues, find the toy and freeze. 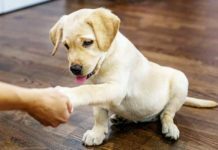 Any of which can be described as Lab tricks, but all of which are fun learning and bonding opportunities for you and your dog. What Tricks Can Labradors Learn? 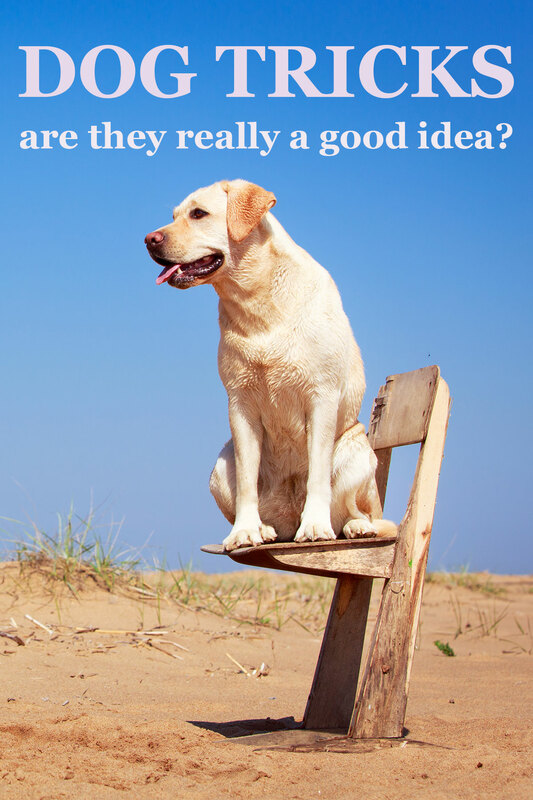 Labradors can learn to do pretty much anything which is within their physical capabilities. The sky is the limit. And even if the trick you are training seems pointless, stay happy in the knowledge that everything you teach your dog will be making you a better trainer, owner and companion for him. Have a go at training your labrador to do some tricks. You may be surprised at how much fun you have. Teach your dog to spin, shake hands, or anything else that appeals to you. And remember – at the end of the day, it’s all just training! Some tricks I’ve taught to my yellow lab “Manikka”‘are….she fetches the tissues when I sneeze, when I drop something from my recliner I say ‘oops’ and she’ll get it & put it on my lap, she knows each of her many toys by name and/or color & will fetch it, and several other intelligent decision tricks. I’ve never had a dog as easy to train as this lab! i have just bought a labrador puppy……..i wanted to know when it is safe to teach him cool tricks….and i dont know what to feed him as i am in pakistan…. Absolutely love the cardboard box ideas! I have an 8 month old yellow lab and I got him when he was 7 weeks old.. I started training him right off the bat. He learned sit immediately followed by the rest of the commands and then we worked on just for fun tricks. Now he is extremely well trained and he will stay as long as I ask him to.. The only thing I’m having a little trouble with is getting him to walk nicely on a leash .he is 85 lbs and very strong and he can be a puller. As far as dog food I have been feeding him iams large breed smart puppy dry dog food. I don’t know if you have that there but you may be able to order it. I also give him pieces of carrot and Apple for a healthy treat. Good luck! Labs are the best and they learn very quickly.. A lab can learn in 10 minutes what it takes other breeds months to learn. I don’t think there is any reason to wait to train.. The sooner you teach the basics the better. Sometimes using a. Halter and it is much less of a pull and then you can train her. I really share your opinion on teaching tricks. It´s great, it tires the dog´s brain, teaches him to think, overcome problems in training and it just is so much fun!!! Ben has limited time with Riley in the morning before work so once they exhausted some of the simpler obedience stuff they were out of time for long duration sit/stays etc so they’ve moved on to tricks. It’s great because it’s real bonding time for them and fun too. I think it also means Riley gets used to taking direction from Ben which translates to some of the longer duration or more complex stuff.